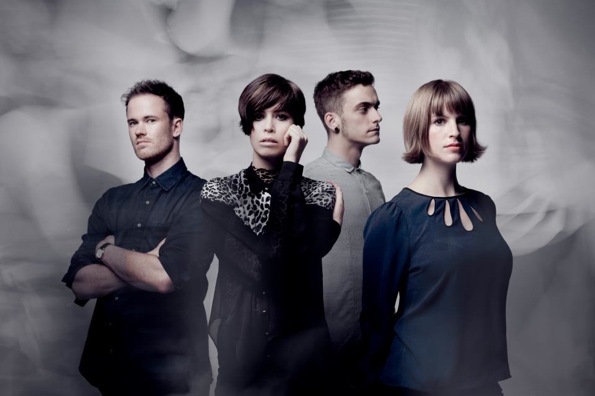 The Aussie quartet, The Jezabels, will be touring North America this April and May in support of their debut full-length album, Prisoner, which will be available at record stores in the US via Mom + Pop Records on April 3rd. The band is also filming a tour diary and has created a tour scrapbook, where you can share your photos, video, and/or audio from the shows with other fans and The Jezabels via Twitter, available on their website. Their North American tour begins on the east coast in NYC at The Bowery Ballroom on April 10th and continues throughout the US and Canada, reaching the west coast in May with a show at Venue Nightclub in Vancouver, BC, and finishing up at The Casbah in San Diego, CA on May 12th. A complete list of their tour dates along with supporting acts is available below.